Leonard Brett has created a new alphabet that combines language and visual motifs as engravings for each letter of the alphabet. Some of the engravings are hand coloured and some of the works in this exhibition are digitally produced. In these works, design elements such as colour, pattern and form are used to produce emotional responses. 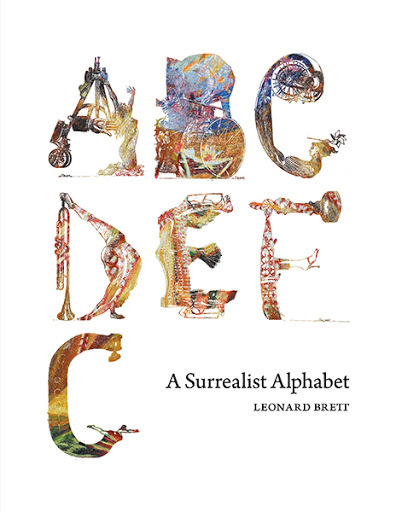 Language and letters are used as visual art throughout the surreal alphabet. Please join us for the opening reception Saturday, April 4th, 3-6pm. This entry was posted in shows by dundaraveprintworkshop. Bookmark the permalink.